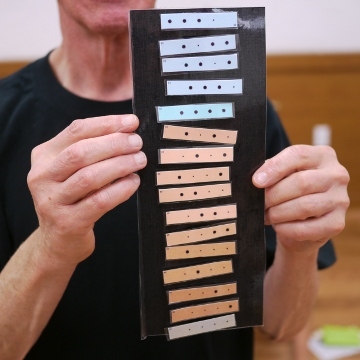 Learn the 16 key sticking patterns that underlie the majority of all taiko music! This is a fantastic course for new and experienced players alike. New players learn rhythms that will benefit their studies for years to come. Experienced players learn the "truffle hunting" approach to uncovering and overcoming one's weakest rhythms. The course provides measurable improvement in four technical areas -- stick control, timing, improvisation, and the learning of new rhythms -- and teaches a lifelong, self-sympathetic approach to practice that is uplifting and effective.